“I’ve already developed land in Nantucket. I’m after something different.” He smiled at her. Lauren relaxed slightly as her attitude underwent a subtle shift. She remained wary, yet curious. Despite herself, she couldn’t stop staring at him. Tall, with curly, dark hair and brown eyes, his chiseled face held a hint of stubble. Very Italian. She subconsciously pulled out his card and glanced at his last name. Yep, Italian. “See you still got my business card,” he chimed in, with a hint of light sarcasm. “I do both. Like I said, I don’t offer my construction services often, but sometimes . . .” he trailed off. Born in beautiful British Columbia, Kim Hotzon developed a passion for writing at an early age. Her interest in people led her all over the globe, including a two year stay in Japan and a humanitarian trip to Rwanda. She loves to write romance stories with a twist, usually incorporating elements of history within contemporary and exotic settings. Her first novel, Hands Full of Ashes, was inspired by her trip to Africa. Her second novel (coming May 11, 2016), A Time For Love In Paris, highlights her love of old-world architecture and the city of Paris. 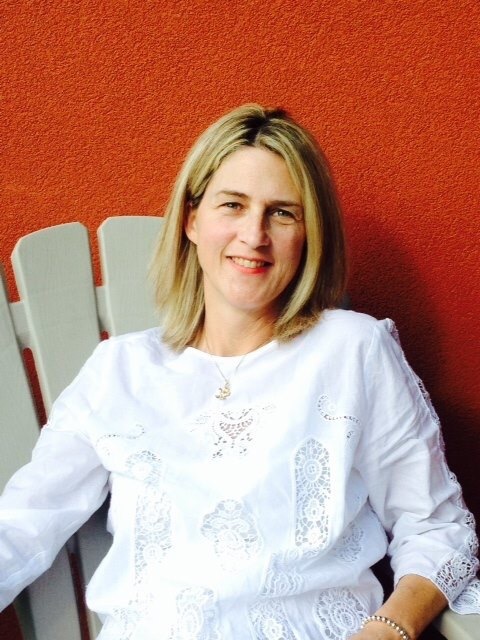 Kim spent many years teaching young adults with learning disabilities at Kwantlen Polytechnic University, and she currently resides in the interior of British Columbia with her husband and two children. When not writing, she can be found plying the local ski hills, or getting lost in a kayak or dragon boat in the surrounding lakes.